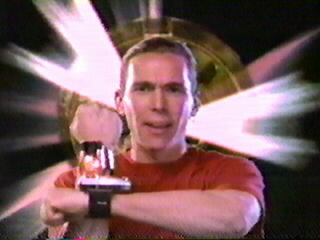 To retrieve the Red Zeo sub-crystal, Tommy had to travel to America's past, where a wise old shaman tested Tommy's ability to follow his instincts, and rewarded him with the crystal. Tommy had to choose the right pouch out of three which contained the crystal. Before Tommy returned home, the shaman gave him half of an arrowhead, the other half belonging to his long lost brother, David. The combined arrow was capable of controlling an ancient spirit known as an Autocthon. Tommy eventually upgraded his powers to become the Red Turbo Ranger. Tommy later passed his Turbo Powers on to a successor, TJ. 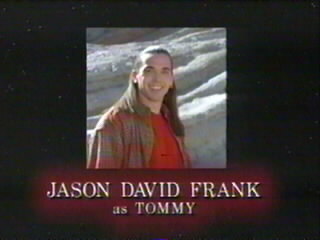 Tommy returned years later as the Red Zeo Ranger to lead 9 other Red Rangers on a mission to prevent the Machine Empire from using Serpentera to destroy Earth.